Ryan Johansen scored just 27 seconds into the game to give the Predators an early 1-0 lead. Winnipeg would answer at 12:47 when Dustin Byfuglien would beat Pekka Rinne from the left faceoff circle and the game was tied, 1-1. Mark Scheifele would then give the Jets a 2-1 lead just 29 seconds later on his shot from the slot. P.K Subban would tie it at 2-2, at 5:04 of the second period scoring his first playoff goal of the season. 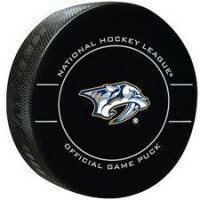 Then Viktor Arvidsson would give the Predators the lead again at 18L41 of the second period on a slapshot from the right circle that beat Jets goaltender Connor Hellebuyck for the 3-2 lead. Winnipeg’s Brandon Tanev would tie the game once again at 3-3 when he beat Pekka Rinne on the stick side for his third goal of the playoffs. Ryan Johansen would score his second of the night to give his Predators a 4-3 lead, just 34 seconds after the Tanev goal and Nashville took the lead once again. Mark Scheifele would score his second goal of the night to tie the game once again, with just 1:05 remaining in the contest. Scheifele has a league leading 8 goals in these playoffs. The first overtime produced nothing other than the fact that NHL referees apparently don’t call any fouls or blow their whistles during the overtime period. There was not score and no fouls, although there should have been a little of both. In the second overtime, with teams sucking air and dealing with legs that are on fire, the Predators managed to get free in front of the Winnipeg goal for the winning goal. Fiala took a pass from Craig Smith to beat Hellebuyck for the winner. Pekka Rinne made 46 saves in regulation plus 14 saves during the overtime period. The series now moves to Winnipeg Tuesday night for game three of the best of seven series.